Local to Oklahoma City, Oklahoma, dry cleaning service Nichols Hills Cleaners specializes in wedding gown care and preservation. Established by the Guthery family in 1969, Nichols Hills Cleaners is dedicated to customer satisfaction, and endeavors to provide clients with excellent, high-quality garment care. As a Sanitone® Certified Master Drycleaner, Nichols Hills Cleaners handles each wedding garment with painstaking care. Only the highest quality and environment-friendly dry cleaning solvents and equipment are utilized. The dry cleaning team is happy to identify and repair any tears, loose threads, and missing decor on your wedding gown. 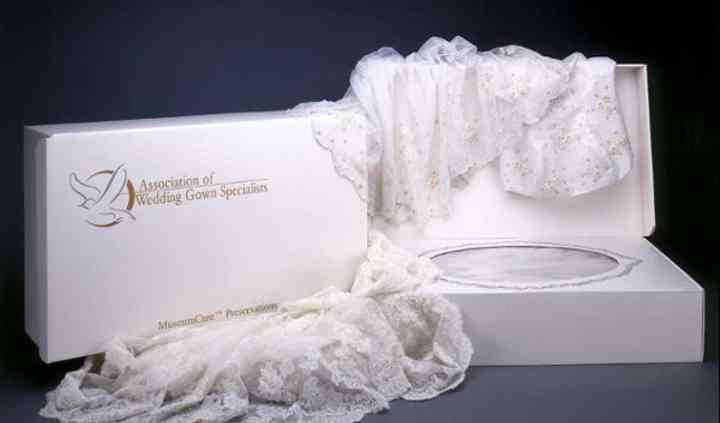 After repair, all wedding gowns are safely packed into an elements-protecting package to ensure the safety and durability of your dress for years to come. The dress wasn't ready on the day we were told it would be. Went back a month later with a check written out for the wrong amount (needed about $2 more). They couldn't take the check and my $2 in ... Read more cash. Seemed crazy. Still not sure why they couldn't take the cash. Very inflexible and inconvenient. The cost is high compared to other cleaners. Not sure of the condition of the dress or quality of the cleaning process since it is in a sealed box.